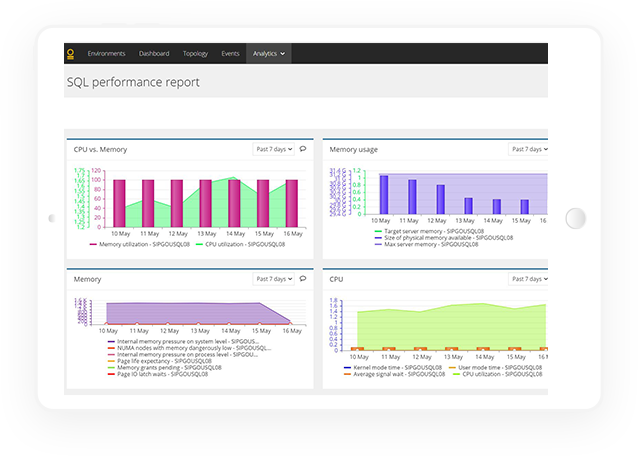 AIMS provides automated 360° performance monitoring and analytics for Microsoft SQL Server. 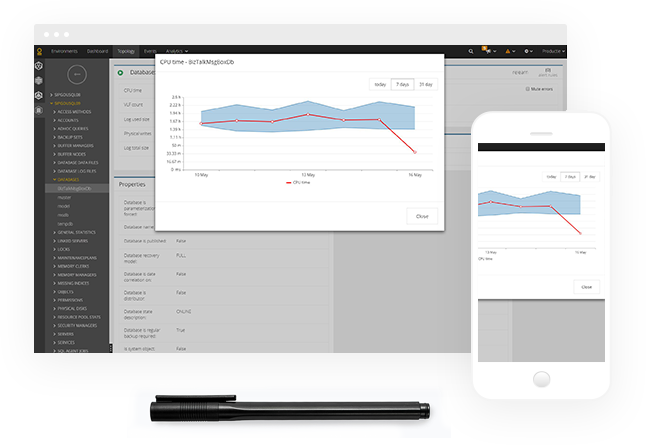 You get automated monitoring and insight into the health and performance of your SQL databases – out of the box with no manual configuration. What is monitored on SQL Server? 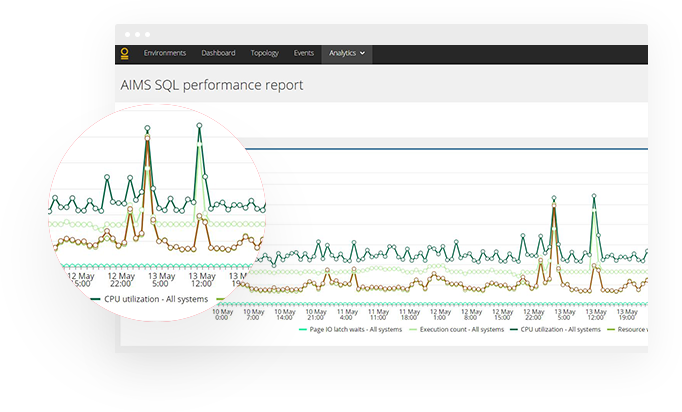 Why use AIMS for SQL monitoring? 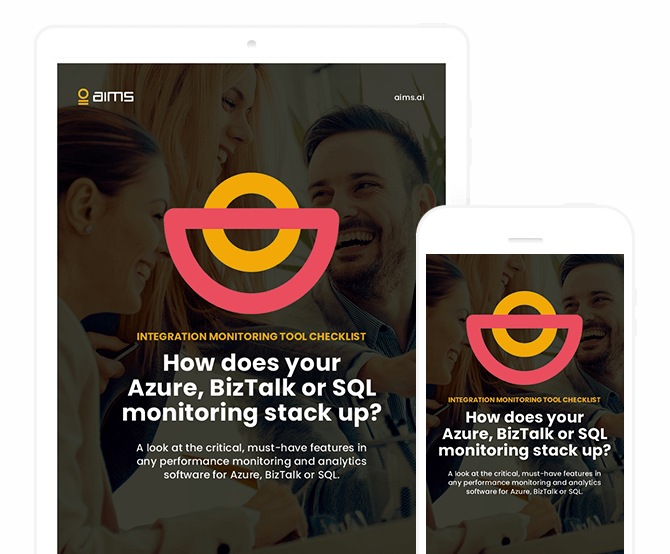 AIMS is the only performance monitoring and analytics solution for SQL that combines the latest AI and machine learning technology with a deep focus on SQL databases. Save hours each day on monitoring your SQL databases. AIMS can predict anomalies within a single system and across systems. Using dynamic alert thresholds, AIMS detects when behavior is heading out of normal ranges and alerts you earlier – so you can take action to prevent downtime. AIMS automatically generates a dynamic, 360° topological map of all systems participating in the integration flow. View systems from a bird’s-eye perspective to get a complete overview of your whole integration setup, or drill down to systems and individual components. Drill down into your SQL databases using AIMS powerful analytics tools. Create health reports, identify the root of performance issues, verify SLA requirements, plan for scaling and more.